Hey I got an idea. Hear me out! We all calm the fûck down and not jump to conclusions or pretend that we KNOW exactly what happened if we weren’t actually there. @big freedom, that's cool and all but we can't riot if we're rational. @big freedom, it would help if media outlets didnt add fuel to the fire by blowing shjt out of proportion. @big freedom, Why do that when we can push a narrative instead? @MMSieBreeze, That's all they're good for nowadays. @big freedom, BURN THE WETCH! Shots fired! But he was resisting arrest. False. 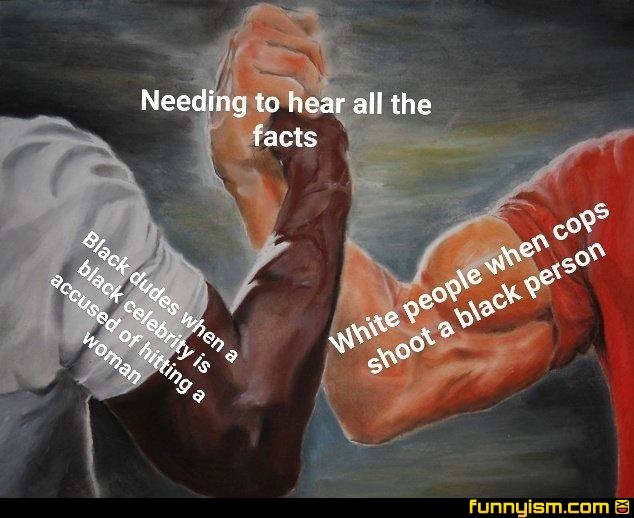 Nobody gives a damn if a black guy attacks a white person. @Invalid User, It doesn’t say white person. It says woman.